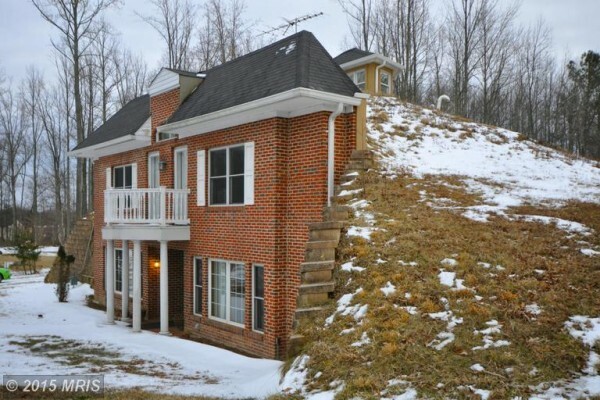 You might not be able to tell by the photo below, but this seemingly average two-storey colonial brick house, in Clinton Maryland, is actually a giant Hobbit hole dug into a small dirt mound. It just happens to have a cleverly-designed facade. Popularly known as the “coolest house in Maryland”, this unusual dwelling was built in 2006, by Formworks Buildings Inc., a company that has been designing eco-friendly earth-sheltered homes for the past 30 years. 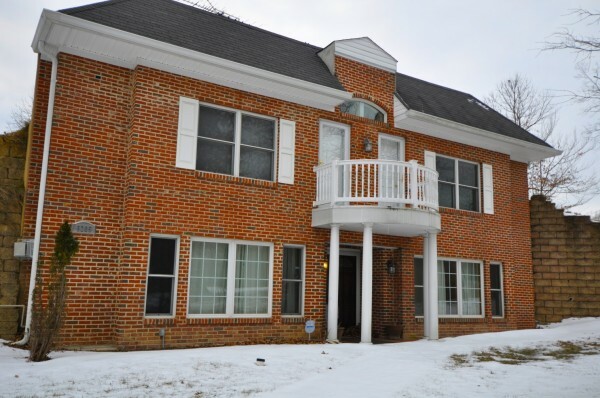 The 3,300-square-foot property features three bedrooms, including a main-level master suite, two large bathrooms, and an attached garage outback. The brick facade does a good job of concealing the fact that this is in fact an underground house, or, more specifically, dug into a small mound. Photos taken inside this real-life hobbit house reveal that natural light is a bit of a problem, due to its unusual design, but the benefits of living in an underground home clearly outweigh the disadvantages. On their website, Formworks Buildings Inc. claims that residents of their homes routinely pay 90 percent less on utility bills than people living in conventional houses. And this place seems to be no different, as a 2015 listing for the house reveal that its geothermal heating and cooling properties cause the bills to average just $150 a month. The architect of this amazing place told FOX5 that it was his perfect project, a home that can withstand pretty much any weather challenge and is incredibly energy efficient. On the top, it is covered by about 3 feet of dirt, and on the side by up to 25 feet of dirt, which provide excellent insulation. “So what is it about this home that makes it so fantastic? Well, aside from the obvious fact that it’s probably your best chance to stay safe should we ever see a zombie apocalypse, just imagine how jealous friends and family would be when they find out you’ve just purchased the coolest home in Maryland!” the 2015 listing teased. I’m pretty sure it was sold 2 years ago, but if you’re curious about the price of such a unique swelling, the asking price was $425,000. If you’re ever in Clinton, Maryland, and want to check out this camouflaged hobbit hole first hand, it’s located at 8305 Poplar Hill Drive.